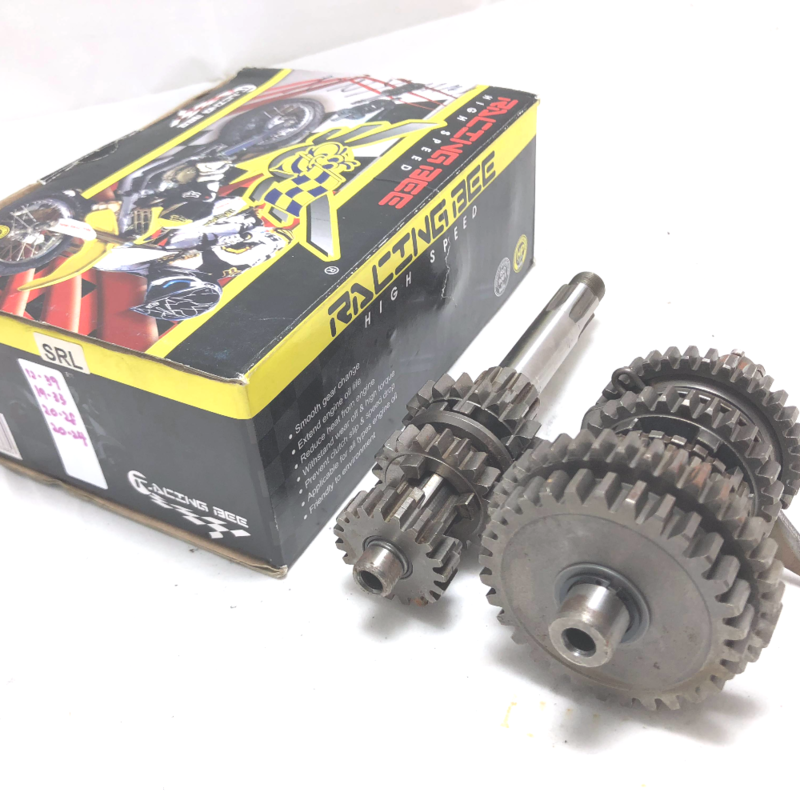 High quality racing gear box for Yamaha SRL110. Applicable for all types of engine oil. Ratio: (12/39), (19/33), (20/28), (20/24).